Diary 1 - Monday 18 November 2013. Join Shelley and the ambassadors as they travel from Dunedin to Wellington to begin the Memorial Park field trip. Diary 2 - Tuesday 19 November 2013. Take a look around the Memorial Park construction site, discover more about the history of the area and climb the Carillon Tower to gain a better view. Diary 3 - Wednesday 20 November 2013. Get your safety gear on and come inside the construction zone. See how the trench for Buckle Street has been designed and how construction is progressing. Diary 4 - Thursday 21 November 2013. Discover how stormwater and groundwater are managed on the construction site and visit local Clifton Terrace Model School to find out what they think of the Memorial Park project. 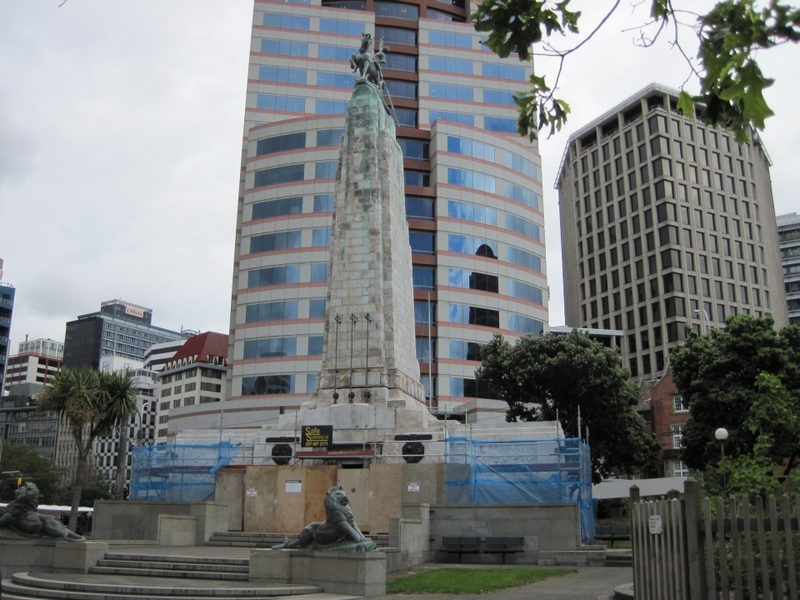 The Wellington cenotaph remembers those who died in both the First and Second World Wars. Image: LEARNZ.